The victim of the home invasion robbery has been identified as Charles Sweetman, 91 years of age from Egg Harbor Township. Sweetman’s medical condition at the time of this update is critical but stable with knife wounds to the neck and chest. 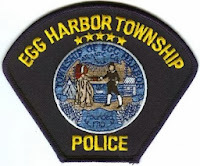 On Tuesday, December 17, 2013, at approximately 8:52 am, the Egg Harbor Township Police Department responded to a residence in the Tower East Mobile Home Park, in the Cardiff section of the township, in reference to a unknown problem. Officers Robert O’Donoghue and Ernest Dunson responded and made contact with the resident, (91years of age from Egg Harbor Township), who was found to be the the victim of a home invasion robbery in which his vehicle appears to have been taken. The victim was stabbed during the incident which occurred sometime last night. The victim was treated at the scene by the Egg Harbor Township Ambulance Squad and AtlantiCare Paramedics. He was transported to AtlanticCare Regional Medical Center City Campus Trauma Center. The missing vehicle is described as 2011 4 door Dodge Charger grey in color. The tag is New Jersey W31CMW. 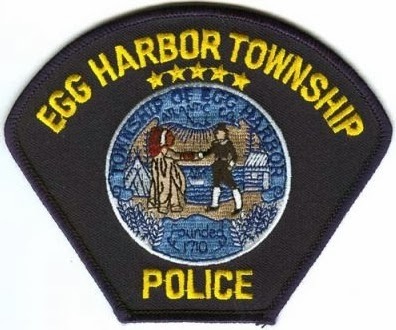 This incident is being investigated by Detectives Robert Harte and Richard Vogt of the Egg Harbor Township Police Department Criminal Investigations Bureau. Anyone having any information regarding this incident or the vehicle should contact the Egg Harbor Township Criminal Investigation Bureau. (609) 926-4127, (609) 926-4010 or (609) 926-4051. They can also Contact Atlantic County Crime Stoppers at (609) 652-1234, 1-800-658-8477(TIPS) or at www.crimestoppersatlantic.com. Crime Stoppers offers cash rewards for information leading to arrests and indictments in Atlantic County.